The Florida Gators will host six official visitors on the final weekend before early signing day on December 19th. 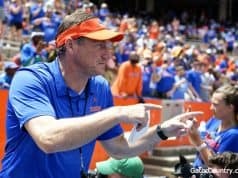 Dan Mullen and the Gators coaching staff has done a great job of getting visitors on campus as last weekend, the staff hosted 14 visitors on campus. 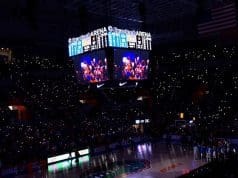 This weekend the Gators will have a lot of talent on campus in official visitors and also a few unofficial visits. GatorCountry brings you a Florida Gators recruiting visitors list preview here. Two of Florida’s top targets on the offensive side of the ball are scheduled to be in Gainesville this weekend for official visits. Running back Trey Sanders will take his final official visit before he announces a decision on December 19th. Heading into the visit Florida is battling Alabama and a late surge from Georgia for Sanders. The Gators have Sanders’ brother on the team already and that’s a plus for Florida. Offensive lineman Deyavie Hammond is also scheduled to be in town this weekend for his official visit. Hammond is slated to sign on the 19th as well and Florida and Florida State are the top teams for Hammond. The Gators have an edge here heading into the visit. Florida is looking for that big defensive tackle in the class and this weekend they will get a big one on campus. Defensive tackle Siaki Ika (6-3, 330, Salt Lake City, UT. East) is scheduled to be on campus for his final visit before he signs early. Ika was previously scheduled to visit Alabama but the Crimson Tide have a lot of linemen committed already so the tackle decided to visit Florida instead. 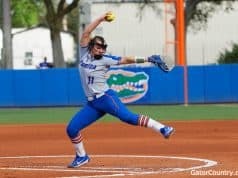 This is the first trip to Gainesville for Ika so the Gators must hit the visit out of the park here. Joining those guys this weekend is scheduled to be LSU DB commit Cordale Flott who decided to visit after Dan Mullen visited him on Thursday. 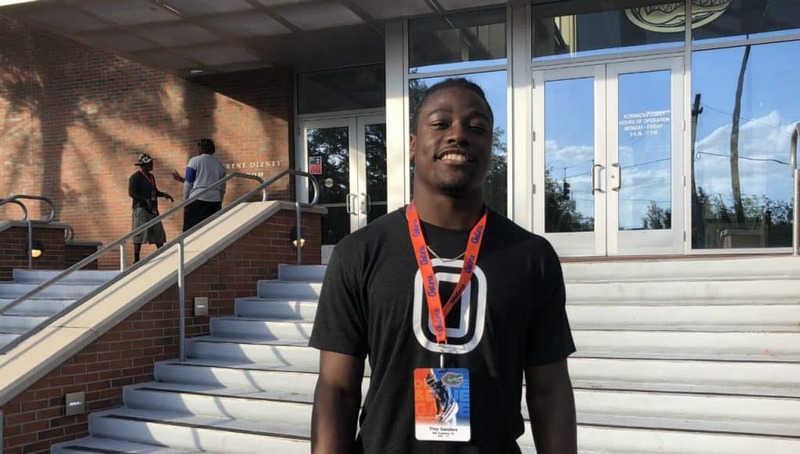 Flott is an early signing guy that the Gators have start to recruit hard as of late. Last weekend most of Florida’s commits visited Gainesville for official visits and this weekend two more are scheduled to be in town. Receiver commit Dionte Marks will make his official visit to Florida this weekend before he signs on the 19th. Marks had talked about not signing early but has decided to sign early with the Gators. Defensive back commit Chester Kimbrough was unable to visit last weekend due to his state championship game but will make it in town this weekend. Kimbrough has been solid to Florida since committing in the summer and he plans to sign early with the Gators. The Gators will host two more commits on unofficial visits this coming weekend as well. Defensive back commit Jaydon Hill has already took his official visit to Gainesville but he will turn on an unofficial visit this weekend. Hill plans to sign early and the Gators are in good shape to keep him in the class despite a late push from South Carolina. Athlete commit Diwun Black is also scheduled to be in town this weekend for an unofficial visit as he will take his official to Florida in January.